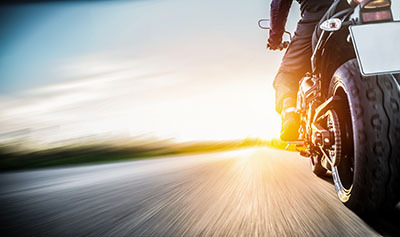 Phoenix, Arizona—Jacqueline Castillo, age 35 of Glendale, was seriously injured when her motorcycle was struck by a hit-and-run driver early Sunday morning. Both drivers were westbound on Interstate 10 near 51st Avenue when the collision occurred. Reportedly, no witnesses saw the collision. An officer with the Phoenix Police Department spotted a Chevy Malibu entering a Circle K parking lot at 59th Avenue and McDowell Roadwith a motorcycle entangled in the car’s undercarriage. After questioning the car’s driver, Jonathan Suarez, age 23 of Yuma, Phoenix Police determined that Mr. Suarez collided with the motorcyclist about a mile away, near 51st Avenue and I-10. Details about the collision and what led police back to Ms. Castillo are unclear. Ms. Castillo was taken to a trauma center for immediate surgery. Her life-changing injuries include a severed foot, a broken pelvis and broken ribs. Mr. Suarez was taken into custody with a blood alcohol content of .114. The legal limit in Arizona is .08. He is being held on a $75,000 bond and faces charges of aggravated assault and leaving the scene of an injury accident. Brianna Jackson, Ms. Castillo’s sister, says recovery will be long, slow and could become more protracted if complications develop. Ms. Castillo is the mother of two young children. Her family has set up a GoFundMe page to assist with medical expenses. We wish Ms. Castillo a successful recovery.